the end of his work. 4th quarter of the 12th century. The Martyrdom of Thomas Becket. Top Image: The ‘Eadui Psalter’, 1st half of 11th century. 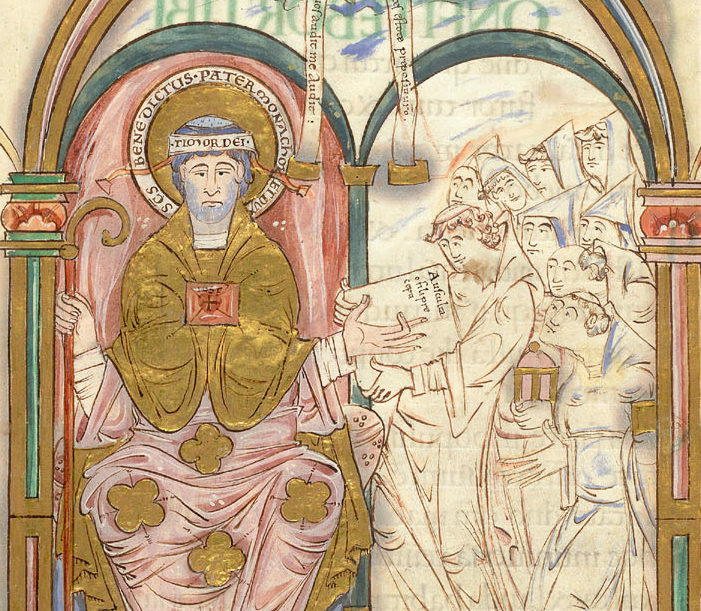 British Library, Arundel MS 155, f. 133r : monks presenting a copy of the Rule of St Benedict to enthroned St Benedict.